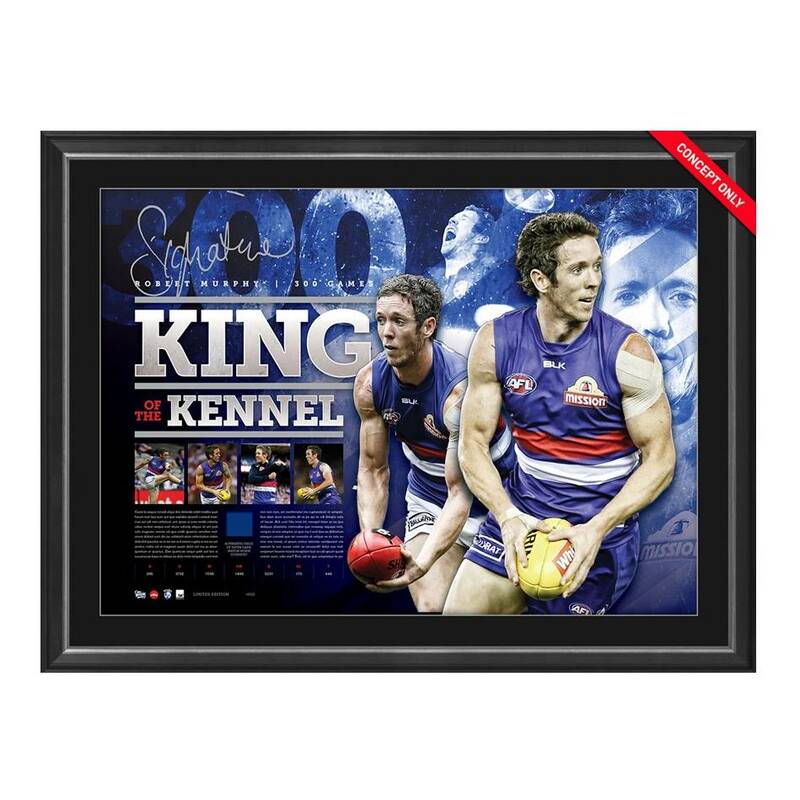 ‘KING OF THE KENNEL’ pays tribute to Bulldog great and favourite son, Bob Murphy. This retrospective display highlights the magnificent 300-game milestone of a player adored and idolised by his fans and the wider football community alike. Much admired for his silky skills on the field and huge heart off it, ‘KING OF THE KENNEL’ is the ultimate mark of respect for one of the most loved players in Bulldog history.